So, you’ve decided to start exercising. Maybe you just retired and finally have time to reap the many physical and mental benefits of getting in shape. Good for you – but don’t jump in with both feet on the first day. Don’t suddenly bike for 10 miles or work in your garden for hours. Start by walking around your house, or around the block, Phelps advises. Exercising too much, or incorrectly, may cause injuries. Plus, if you wake up in pain the next day you won’t be eager to return to your exercise routine. Check with your physician before starting any new exercise, and be sure to drink plenty of water. 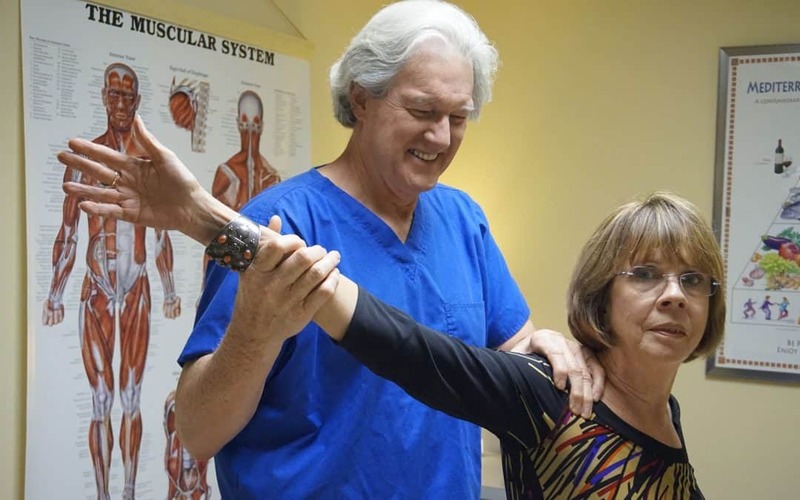 Phelps, who owns the Muscle Repair Shop in Sarasota, emphasizes the importance of stretching before exercising. He is certified in active isolated stretching, along with neuromuscular massage and sports massage. He combines stretching with massage to soften the muscles. Butch Phelps owns The Muscle Repair Shop and emphasizes the importance of stretching before any exercise. He specializes in working with older people suffering from joint injuries, back injuries and general stiffness.